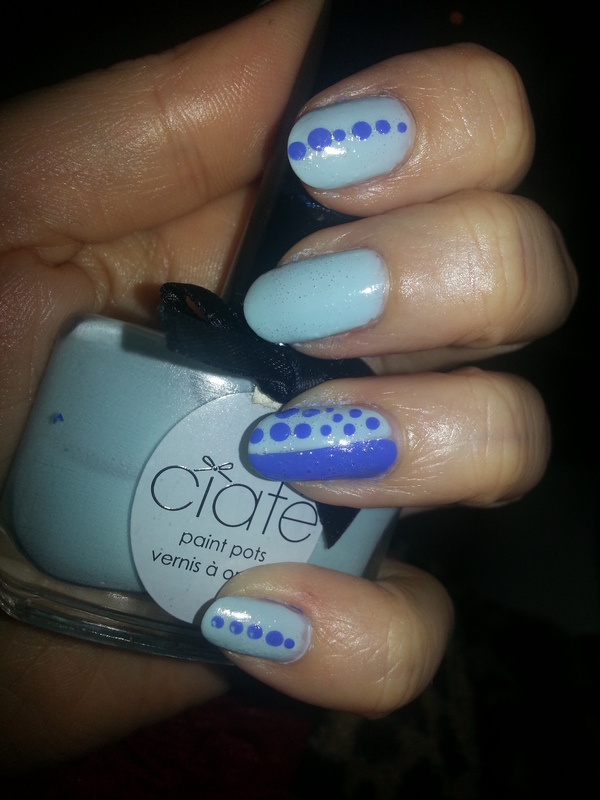 The base is the powder blue from Ciate. 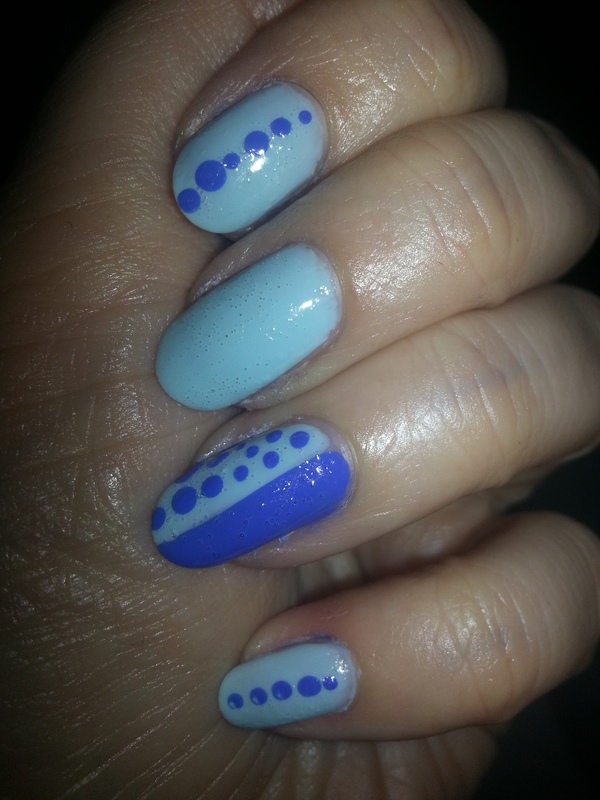 The other blue that I used to accentuate is Pacific Blue by Sally Hansen. 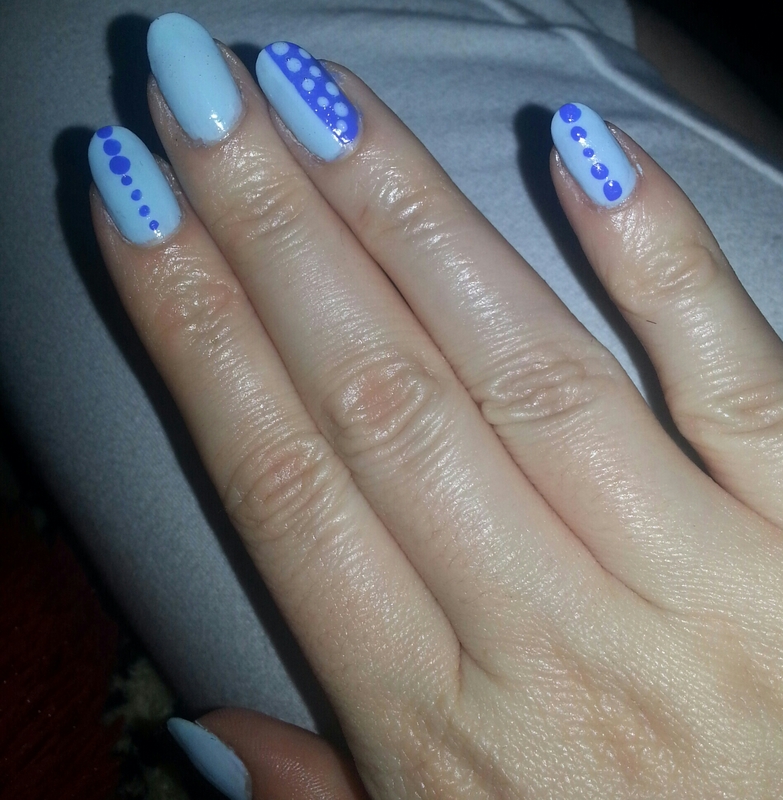 I free handed the dots by using my nail stick ( see previous posts) . So cute! I wish I was able to do my own nails. Thank you ! And yes you can, just practice. I love every shade of blue so this is totally my cup of tea ^_^ Lovely! Most times design on my left hand always end up looking different than those on right. Lol.